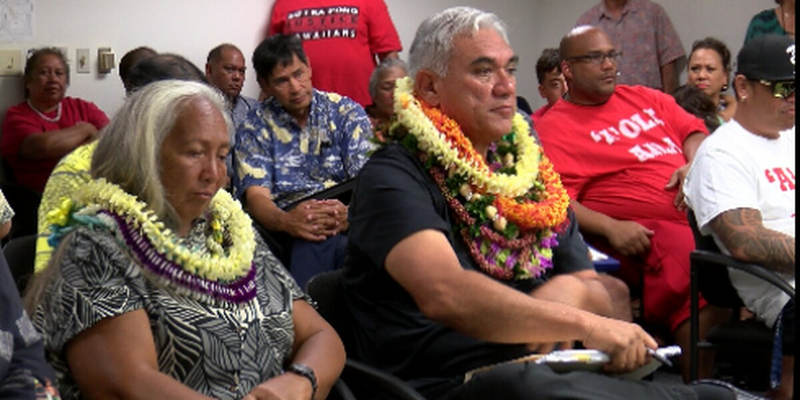 HONOLULU (HawaiiNewsNow) - The full Senate voted Tuesday to reconfirm William Aila as the Deputy Director of Hawaiian Homelands. It wasn’t a unanimous vote however, with five senators voting against the reconfirmation. The hearings leading up to Wednesday’s vote revealed deep dissatisfaction among beneficiaries, who claim DHHL is not meeting its potential to help Hawaiian people. Two weeks ago, a Senate committee narrowly voted to recommend Aila to another term. Critics say the department isn’t doing enough to reduce its growing wait list and the millions in federal funds that have gone unspent. “Make no mistake, we need change at the Department of Hawaiian Homelands. We need to change its course and direction and we need to change it now,” State Sen. Kai Kahele of Hilo said. Aila says DHHL is looking at developing new homesteads in Kau and North Kona on Hawaii Island, and Wailua on Kauai. He also says the department is considering three sites on Oahu that could be used for multi-family rentals for beneficiaries. Aila will now likely serve as interim Hawaiian Home Lands chair since current chair Jobie Masagatani was not nominated to a second term.